Cisco AIR-CT5508-12-K9. Field Recovery Image Version.. Fan Status.. OK. US - United States. --More-- or (q)uit. Model Number. Genuine & Lifetime License. Limited quantity. MICROSOFT WINDOWS SERVER 2019 DATA CENTER 64BIT 2 CPU 16 Core Product key code. You will receive 1 New Product Key for Windows Server 2019 Data Center version. 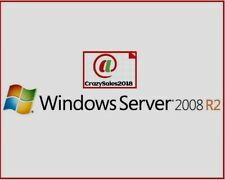 Windows Server 2008 | 2008 R2 RDS Remote Desktop Services 20 DEVICE CAL LICENSE"
Windows Server 2008 | 2008 R2 RDS Remote Desktop Services. WINDOWS SERVER 2008 R Standard / WINDOWS SERVER 2008 R2 STANDARD. WINDOWS SERVER 2008 R Standard or WINDOWS SERVER 2008 R2 DATACENTER / ENTERPRISE. SafeNet eToken 5110 is a portable two-factor USB authenticator with advanced smart card technology. 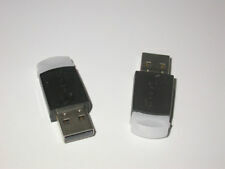 USB connector USB type A; supports USB 1.1 and 2.0 (full speed and high speed). > Hash: SHA1, SHA256. Extend fiber distance up to 20km for single-mode fiber. Fiber Optic Products. Fiber Optic Tool Kit. Fiber Optic Cleaner. Table Runner. Fiber Converter. Fiber Cleaver. Ethernet Converter. Unit may need a good cleaning. We test to the best of our ability. The unit pictured is the one you will receive. It still has it's original box and accessories. The unit powers on and appears to work fine. These pieces are often used but in good working condition. 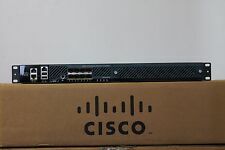 Cisco AIR-CT5508-12-K9 No rackmounts . Can't find what you're looking for?. Unsure if this is what you need?. Part number ZD1100. Ruckus Zone Director 1100. IBM Artic186 Multiport 8-port ISA Adapter P/N 87H3315 FRU 87H3330 RS232 RS485. Buy it now price is for 1 adapter. However, we have 45 of these adapters available. • Fully tested. Testing includes a wrap test on all ports to ensure full functionality. The Shrink Array operation allows users to remove drives from an existing array. The Move Array operation allows users to transfer the contents of a disk array from one set of physical drives to a second set of physical drives. Need a small phone system?. WE CAN GET YOU WHAT YOU NEED AT THE BEST PRICES. ASK FOR ADRIAN. DON'T LET THESE GET AWAY. THEY WON'T LAST LONG AT THIS PRICE. Product is a bundle between the FMC-1000S converter and a Gigabit single-mode SFP 1000Base-LX. The Copper interface is an auto negotiating10/100/1000 Base-T RJ45 interface with auto MDI/MDI-X detection. Local Stability. Local Stability (kHz) (Ta: -40 to 60 C) : /- 3 ppm( /- 30 kHz typ.). Current Drain (mA) : 200 max. Conversion Gain (at 25 C) : 55 dB min., 60 dB typ. Noise Temperature (at 25 C) : 0.8 dB typ., 1.0 dB max. Digi -- 77000889 -- Neo PCIe 8-port. Part Number: 77000889. Manufacturer: Digi. Qty Available: 1. warranty period. Cisco AIR-SAP2602E-A-K9. Can't find what you're looking for?. Unsure if this is what you need?. Model Number. NJR2536H 12.25 to 12.75 GHz 11.3 GHz /-10 ppm 950 to 1,450 MHz F-Type. Model Number RF Frequency Local Frequency Local Stability IF Frequency IF Connector. Frequency Band. Current Drain. -10 dBm (@ CW). RF Input Power. G=15 (Direction; X,Y,Z). G=5 (f=50±2Hz, t=5 min, Direction; X,Y,Z). 100 %Rh (max). -40 to 80 C.
I’ve got a lot of KBC Data Delivered wireless products for sale. They are new old stock and a lot of them haven’t even been opened from factory! If looking for anything other than listed, message me an inquiry. All of our inventory is new and unused unless otherwise noted. This item is tested and is in good working condition. This item has normal wear and tear usage. We’ll resolve the issue and make it right! Media converter redundant neg DC48V power supply for FRM220-CH08 chassis rack19"
Currently supported line cards include Ethernet to fiber converters for 10/100Base-TX, or 10/100/1000Base-TX over multimode fiber (up to 2 km), single mode fiber (up to 120 km) or utilizing WDM (up to 40 km). Complete with new headset, headband and ear loop. Need a small phone system?. WE CAN GET YOU WHAT YOU NEED AT THE BEST PRICES. ASK FOR ADRIAN. In perfect working condition. You will not be disappointed. Bank Deposit. Hair Care & Styling Products. sample of one of the units. Cash on Pickup. Any consumable parts of the goods being sold (eg. batteries, toner etc.). The warranty doesNOT cover. Only goods which are specifically described as having a warranty period are covered. For sale is a New Ericsson TRS5021EV-SB01 10G SFP LR/CPRI RDH 102 65/3. AXIS P8221 Network I/O Audio Module '0321-001-001 - LIQUIDACION!! AXIS P8221 Network I/O Audio Module. Cuenta con un amplificador de baja potencia integrado para altavoces pequeños, por lo que no se precisa de un preamplificador externo. AXIS P8221 Network I/O Audio Module/ English version. Part number: adc fl2-6p4sc605r. Description:this is a new open box adc fl2-6p4sc605r adapter panel. We s hip by Canada Expresspost. 4 available. 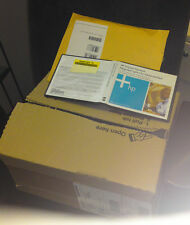 All items are professionally packed for safe transit.